Jeans by Wrangler and shirt by Marni vintage. Sweatsuit by Levis and swimsuit by American Apparel. 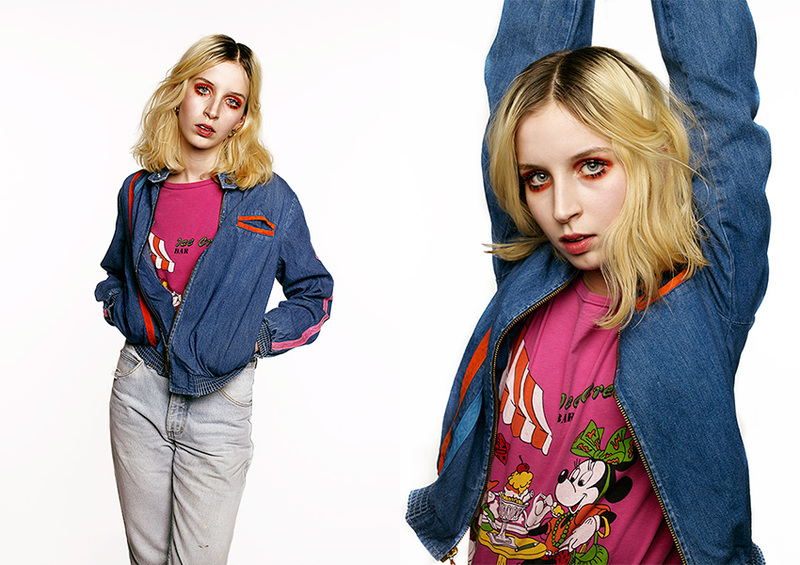 Jeans by Wrangler, t-shirt by School and jacket by Happy Legs vintage. Photography by Léo D´oriano, makeup by Céline Exbrayat and photography assistance by Jalis Vienne.